What Does Tracking Your Macros Mean? Fundamentally, tracking your macros means counting how many grams of carbohydrates, fats and proteins that you consume on a daily basis. 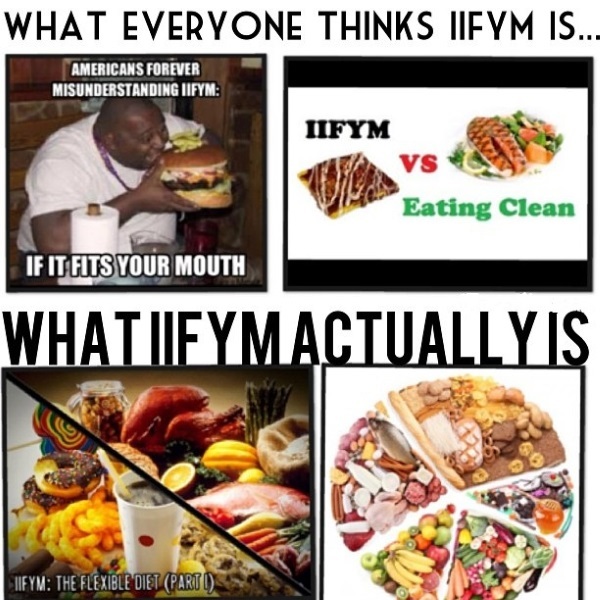 This may shock some of you who are completely new to tracking macros but yes many people, including myself, count their daily macros every day! It has become increasingly more popular to prep your meals for your working week ahead but in order to prep your meals appropriately you should weigh out how many grams of each specific food items that you have cooked in order to get a correct balance of nutrition. Thus, when you know how many grams of food you have in your prepacked meals, you can easily workout how many grams of carbohydrates, fats and proteins are in these foods. macrosIf you have a fitness goal in mind tracking your macros should be an important element of your daily routine. Whether you are looking to lose fat, build muscle or simply maintain your current shape and fitness levels then diet and nutrition plays a vital role. Merely being mindful of the foods you chose to consume will not allow you to reach your desired goals very quickly and may even hinder your progress in the gym. Fat-loss for example, will only happen when your body is in a calorie deficit, however if you put yourself in too much of a deficit this can be extremely detrimental to your health and not only will you burn precious muscle, you will find yourself lacking in energy and motivation to hit the gym – causing your body to preserve the fat you do have. At worse, this can lead to eating disorders and even kidney and heart failure. Therefore, it is crucial that you track your macros and thus calories in order for you to reach your goal safely and healthily. Now, if your aim is to build strong muscle then your body requires an increase in calories that is higher than the calories you burn on a daily basis. However, it is not as simple as ‘I need to eat more so let’s have the whole cake instead of just one slice’; if you want to build muscle without putting on too much excess fat – which is detrimental to our health – then you need to make sure the calories you are consuming come from specific percentages of the three macronutrients, i.e. higher protein content than carbs and fats. How Can You Track Macros? We know that: Carbohydrates provide 4 calories per 1 gram, Proteins also provide 4 calories per 1 gram and Fats provide 9 calories per 1 gram. So if we are having 3.5g of fats that is: 3.5 X 9 = 31.5 calories; 30g of carbs: 30 X 4 = 120 calories; 5g of protein: 5 x 4 = 20 calories. Add them altogether = 31.5 + 120 + 20 = 171.5 calories. As you can see there is a small difference between both numbers as this allows for errors within the nutritional labels.